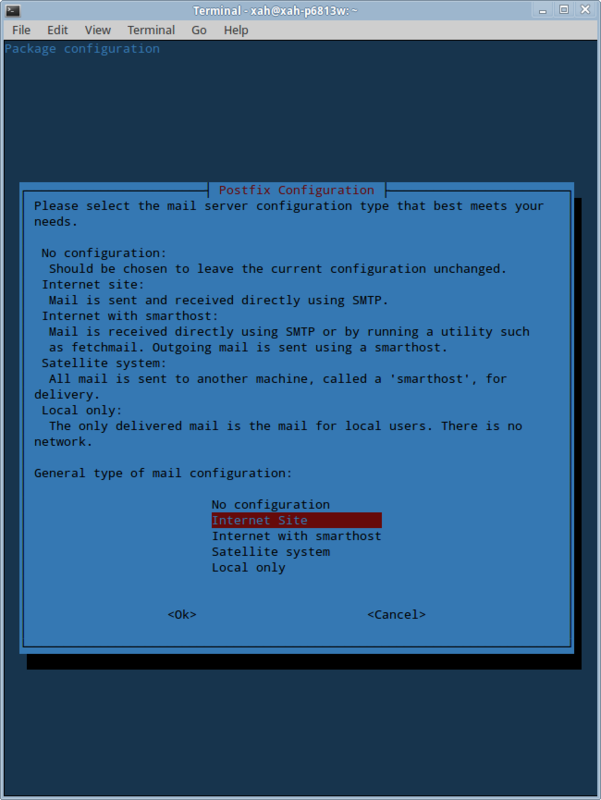 Linux postfix installation popup screenshot. Programs shouldn't do this, because it interrupts installation. For example, this happened when i'm installing emacs dependencies by sudo apt-get build-dep emacs23. 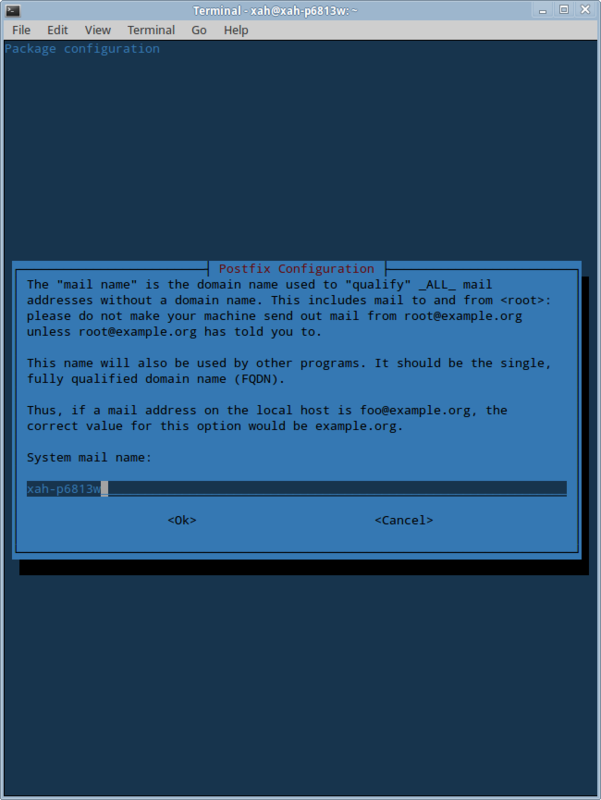 [see Building Emacs on Linux — a Guide] I wasn't even consciously installing postfix. You go for a coffee, expecting things will be done when you come back, but instead, you get this popup stuck on your screen. Another software that does this is MySQL, prompting you for a root password.